A new leak of the text messages originating from a hacked smartphone of a high-ranking officer of Russia’s Presidential Administration sheds further light on the relations between the Russian authorities and their far right allies in France. The hackers from the Anonymous International have disclosed thousands of text messages sent to and by Timur Prokopenko, deputy chief of the Domestic Politics Department of the Presidential Administration of the Russian Federation. Before he started working in the Presidential Administration, Prokopenko headed the youth wing of the ruling United Russia party, the Young Guard, that was established in 2005, next to the Nashi movement and Aleksandr Dugin’s Eurasian Youth Union, to defend Russia from the largely virtual threat of a “colour revolution”. Prokopenko rose up to become a powerful figure in the Presidential Administration. The hacked messages reveal the internal developments in the Domestic Politics Department, how it communicates with and tries to control the already intimidated mass media, organises and finances pro-Putin rallies and movements in Russia. The messages dating back to March 2014 also mention Marine Le Pen, the leader of the French far right National Front, and contribute to better understanding of the relations between Russia and Le Pen’s party. With regard to Le Pen, Prokopenko corresponded with Konstantin Rykov, a Russian politician and influential media producer. A self-proclaimed Russian patriot, who massively promoted #RussianSpring as a reference to the Russian annexation of Crimea and pro-Russian separatism in Eastern Ukraine, Rykov owns a €2 million villa in Côte d’Azur and is a tax resident of France, according to the investigation of Russian opposition leader Alexey Navalny. It is Rykov’s French connection that apparently determines his acquaintance with Le Pen. According to the leaked messages, on 10 March 2014, a week before the “referendum” in Russia-occupied Crimea, Prokopenko asked whether Rykov could bring Marine Le Pen as a “referendum” observer to Crimea, adding that her prospective participation would be important and that he informed his boss, Oleg Morozov, that Rykov was in contact with her. Rykov promised to find out. Rykov replied the next day saying that Le Pen was on tour campaigning for her party’s municipal elections, so she was unlikely to go, but one of her deputies could go in her stead. Prokopenko seemed happy about this development and said that someone from Russia’s Foreign Ministry would call Le Pen. Then Rykov added that the Danes supported “them” (Russia) too, but it was difficult for Rykov to communicate with them as he did not know the Danish language. These communications correspond well to the developments in March 2014. Le Pen did not indeed go to Crimea, but her contemporary adviser on international relations, Aymeric Chauprade, went to observe the “referendum”. The French newspaper Libération informed, with a reference to Chauprade’s entourage, that he had been invited to monitor the “referendum” by the Eurasian Observatory for Democracy & Elections (EODE), a Belgium-based NGO run by Belgian extreme right activist Luc Michel. Together with the pro-Kremlin, Poland-based European Centre for Geopolitical Analysis, the EODE was responsible for inviting international monitors to observe the “referendum” in Crimea. However, the National Front denied that the EODE had invited Chauprade, as the party feared that the publicised relationship with the Belgian right-wing extremists could damage the reputation of the National Front, especially on the eve of the municipal elections. By “the Danes” who supported the Russian idea of the Crimea “referendum”, Rykov might have meant the far right Danish People’s Party. The day after the “referendum”, the party’s foreign affairs spokesman Søren Espersen declared that they should respect “the will of the people of Crimea” who “wanted to become part of Russia”. The same day that Espersen declared his party’s support for the Russian practical annexation of Crimea, Rykov happily informed Prokopenko that Le Pen “had officially recognised the results of the referendum in Crimea!”. “She has not let us down ;)”, replied Prokopenko. “We need to somehow demonstrate our respect for the French. This is important”, Rykov suggested. “Yes, super!”. Later developments provided a clue what that “respect” for the National Front could be. Already by the time of the communications between Prokopenko and Rykov, Le Pen had travelled at least twice to Moscow. 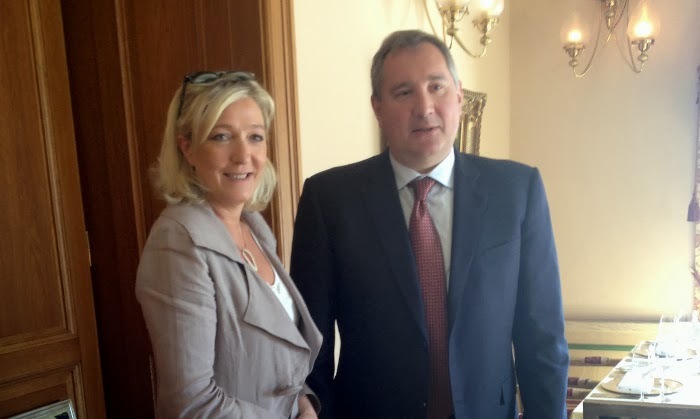 During her visit in June 2013, Le Pen met with the Russian parliament Chairman Sergey Naryshkin and Deputy Prime Minister Dmitry Rogozin. The latter was also a founder of the far right Rodina party, which he headed until 2006. In 2011, President Vladimir Putin appointed him a head of the board of Russia’s Military-Industrial Commission. Rogozin has French connections too: apparently, it was him who helped establish, in 2008, the Institute of Democracy and Cooperation, a Russian “soft power” think-thank headed by Natalya Narochnitskaya, former Russian MP nominated by the Rodina party, and British Eurosceptic writer John Laughland. As the French website Mediapart reported, during her visit to Moscow in February 2014, Le Pen secretly met with Putin. Two people were instrumental in setting up that meeting. One was Jean-Luc Schaffhauser, a member of the Marine Blue Gathering, a coalition of far right parties that supports Le Pen, who was responsible for finding funds for the National Front. The other was Alexander Babakov. He briefly headed the Rodina party in 2006, and is now an MP from the United Russia party and a member of the board of the Russia’s Military-Industrial Commission. Yet another investigation by Navalny revealed that Babakov owned an €11.5 million estate in France. Reportedly, Schaffhauser introduced Le Pen to Babakov, while the latter – most likely with the assistance from Rogozin – helped arrange Le Pen’s secret meeting with Putin. Few know exactly what they discussed during this meeting, but later revelations suggest that it was a multi-million Euro loan to the National Front. Meanwhile, Chauprade developed further links with the Russians. He was already familiar to the Russian political establishment. In June 2013, he participated in the meeting of the Russian parliament’s Committee for Family, Women and Children Issues that advanced the eventual adoption of the so-called “Dima Yakovlev Law” that banned adoption of Russian orphan children by LGBT couples and US citizens. Furthermore, as Mediapart reported, Chauprade introduced the father of Marine Le Pen, Jean-Marie Le Pen, to Konstantin Malofeev, a Russian oligarch and founder of investment fund Marshall Capital Partners, who was, in summer 2014, put on the EU sanctions list for financing illegal pro-Russian military groups in Eastern Ukraine. Malofeev was instrumental in helping Jean-Marie Le Pen, former leader of the National Front, with obtaining, in April 2014, a €2 million loan from Vernonsia Holdings Ltd., a Cyprus offshore company linked to the Russian investment company VEB Capital. As could be expected, the “Franco-Russian interest” in Crimea transcended the ideological tenets, if any. 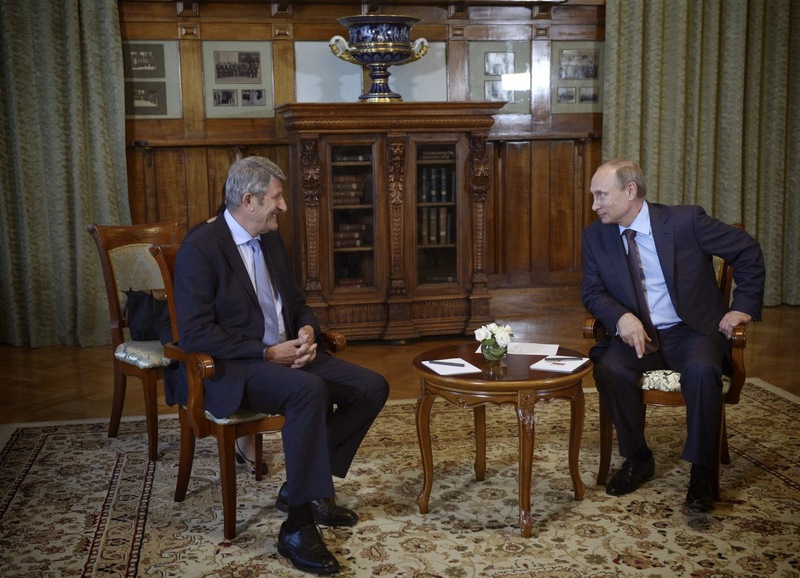 Chauprade’s and Malofeev’s friend Philippe de Villiers, French far right politician and businessman, as well as brother of Chief of Staff of the French Army Pierre de Villiers, met with Putin in August 2014. During the meeting, de Villiers suggested to build, in a joint venture with Malofeev, two Puy du Fou theme parks in Moscow and Crimea. 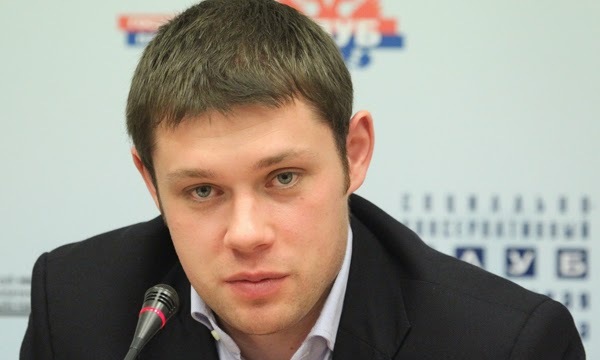 Chauprade helped the Russians build contacts with many other Western far right politicians. At the end of May 2014, Chauprade participated, as the Swiss newspaper Tages-Anzeiger exposed, in a secret meeting in Vienna convened by Malofeev. A number of European far right politicians, including representatives of the National Front, Freedom Party of Austria and Bulgarian Ataka party, participated in the secret meeting in Vienna too. Chauprade also sat in the presidium, next to Malofeev, Mizulina, Russian religious leaders and CEO of Russian Railways Vladimir Yakunin, of the eighth meeting of the anti-LGBT World Congress of Families that took place in Moscow in September 2014. The same month saw that Schaffhauser’s fundraising mission proved to be a success. 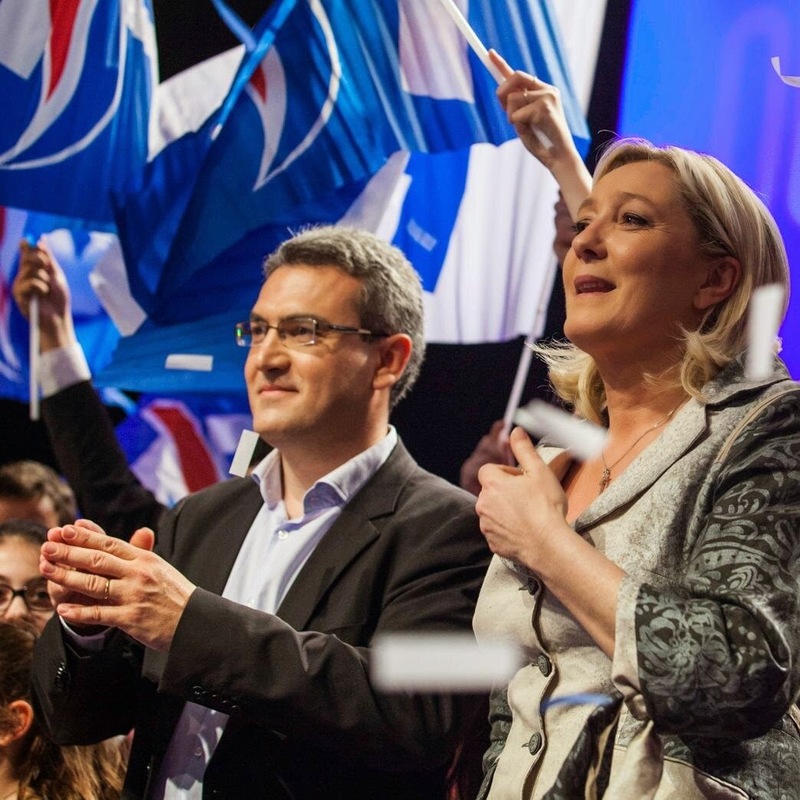 As Mediapart discovered, the National Front secured a €40 million loan from the First Czech-Russian Bank. Despite the name, this bank belongs almost exclusively to the Russians, namely to the companies and holdings owned by Gennadiy Timchenko, a major Russian businessman from Putin’s inner circle and a co-founder of Cyprus-registered Gunvor Group Ltd. that, as US officials suspected, hosted Putin’s own investments. (Following the Russian annexation of Crimea, the US sanctioned Timchenko and he sold his share in Gunvor to the company’s Swedish co-founder Torbjörn Törnqvist.) Timchenko, too, has French connections: in 2011, he was elected chairman of the Economic Council of the Franco-Russian Chamber of Commerce (CCIFR), an important instrument of the Kremlin’s “soft power” in France. In 2013, Timchenko shared chairmanship of the Economic Council with Total’s CEO Christophe de Margerie, but the latter was killed in an aircraft crash in Moscow in October 2014, so now Timchenko apparently remains the only chairman of the CCIFR’s Economic Council. 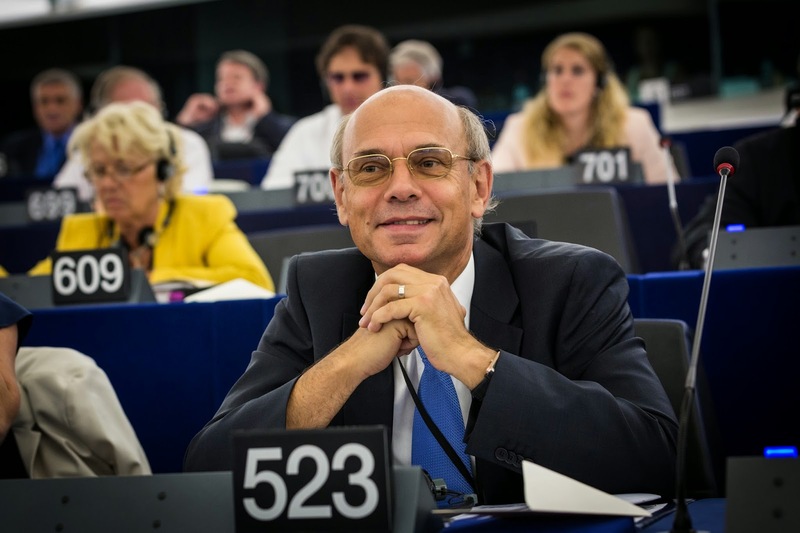 For his service to the National Front, Schaffhauser, who also became an MEP in May 2014, was paid a consultancy fee of €140.000. As a sign of his loyalty to the Kremlin, Schaffhauser took part in the monitoring mission of the “parliamentary elections” in self-proclaimed Donetsk and Luhansk “People’s Republics” on the territories occupied by pro-Russian separatists in Eastern Ukraine. The international observation mission was organised by the same Eurasian Observatory for Democracy & Elections and the European Centre for Geopolitical Analysis that invited observers to the Crimea “referendum”. As the Rue89Strasbourg website reports, Schaffhauser will visit Donetsk in May 2015, allegedly to observe the implementation of the Minsk II agreement. He will be accompanied by representatives of the French NGO “Urgence Enfants d’Ukraine” that was established in September 2014 by a member of the French far right Identitarian Bloc Alain Fragny, and looks like a money-laundering operation. Was the amount of money that the business structures close to the Kremlin have injected in the National Front that “respect” that Rykov suggested the Presidential Administration to demonstrate to “the French”? Most likely, the “respect” was indeed counted in Euros or contributed to the Russians’ decision to grant the multi-million loan to the National Front, but it is hard to believe that the “official recognition of the results of the Crimea referendum” by Marine Le Pen cost that much. The scope of the cooperation between the French far right and the Russian authorities, which started long before the annexation of Crimea, indicates that it is one of the many elements, albeit a significant one, of the Kremlin’s long-term strategy to support all the anti-EU and anti-US forces in Europe in order to undermine the transatlantic cooperation and ultimately weaken the West.